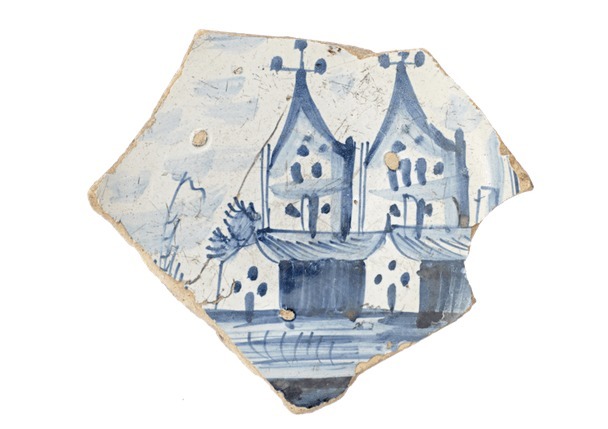 Some 700,000 objects, some old and some not so old, have gone on show on Below the Surface, a virtual museum dedicated to the archaeological objects found during the building work on the Noord-Zuidlijn, Amsterdam’s recently opened new metro route. Connecting the north to the south of the city, the 9.7 kilometre route took 15 years to complete and was first a gleam in the eye of developers and engineers as long as 100 years ago. As the protracted digging continued, archaeologists were given the opportunity to go down into the bowels of the earth to find out about the development of the city along the route where once the Amstel river flowed. They objects they encountered along the way range from Neolithic and early Bronze age (2700-1800 BC) funerary gifts and tools and fibulae dropped by careless Romans to modern day objects such as flippos (remember them? ), mobile phones and lost bicycle keys. Some 9,500 of the objects are on show in glass cases at Rokin metro station, one of the eight metro stations that make up the line. They can only be seen as you glide past on the escalator down to the platform so the virtual museum is an excellent source of information should anything interesting catch your eye. It could be the hearthstone from the 16th century found at Damrak, for example, showing the coat of arms of the emperor Charles V or the tin button of a coat belonging to a uniform of the schutterij, or local militia. Then as now, the Netherlands harboured immigrants from all over Europe and beyond. This particular button, found at Rokin, was made by an Italian tinsmith who made his home at Nieuwendijk. 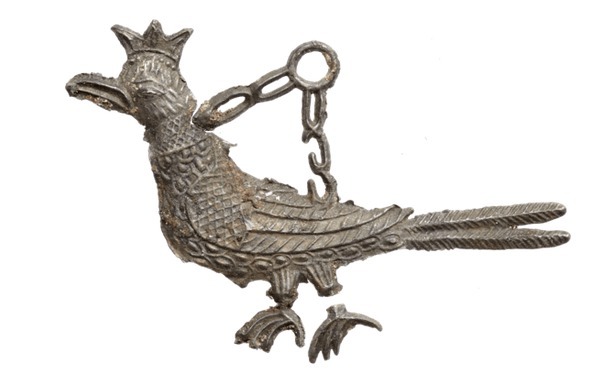 There’s also a 15th century skate made of iron also found at Rokin, illustrating the long Dutch tradition of getting your skates on when a proper winter permits. A large collection of boating hooks dropped by irate boatsmen shows just how awkward that corner in the canal was and you can just about imagine the swearing that went on as another one went overboard. Some of the finds shine a light on a very particular moment in time. The very beautiful radiator cap featuring Tutankhamun, which once graced a very exclusive American Stutz Model AA Vertical Eight motorcar, illustrates the craze for Tutankhamun related objects that swept the world as a result of the discovery of the pharaoh’s grave in 1922. Another car-related find is part of a model version of Sir Malcolm Campbell’s Bluebird which broke the record for speed by whizzing up and down the Utah salt flats at 301 miles an hour in 1935. The toy was probably brand new when it fell in the Rokin which was filled up in 1937, and probably left a very disappointed boy in tears. The modern day objects – the antiquities of the future – are given the same careful treatment as the objects of centuries ago and they are just as intriguing. We can only speculate how a set of false teeth and the high heel of a woman’s shoe ended up in the water. Apart from offering hours of fun looking at all the finds, and even assembling your own collection, Below the Surface also explains in great detail how the archaeological work was planned and executed. And while it remains to be seen if Amsterdammers take the new metro to their hearts, visitors to the virtual museum cannot fail to be amused by all the items that were unearthed during the making of it. 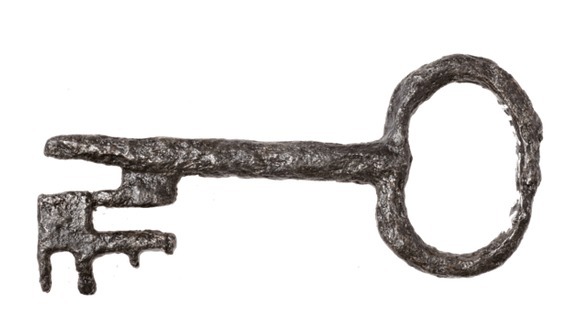 Some may even claim a bicycle key.